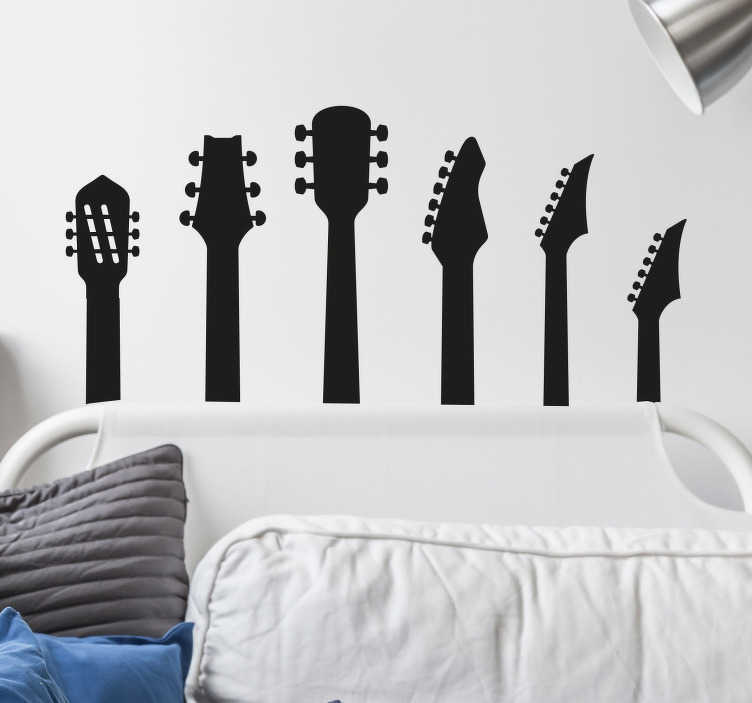 Guitar Stickers - Amazing design of guitar necks or fretboards that can be placed behind a couch, cupboard or headboard. Will give the walls in your home a unique design and show your love of acoustic or rock music to others. Create a rock and roll atmosphere in your living room or bedroom with this guitar decal. Our rock stickers and heavy metal stickers come in various sizes and you an choose up to 50 colours for this design. Our Music stickers are easy to apply and leave no residue on removal.